We at ‘Seven Ayurveda Care’, take the opportunity to serve u all with our new range of exclusive AYURVEDA based Skin and Hair care therapies. How does things work at Seven Ayurveda? Is it a salon service with an Ayurveda name ? 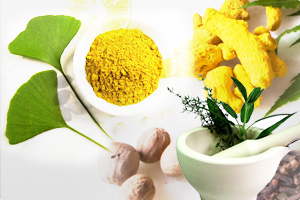 Just like any other so called Ayurvedic creams and lotions available in the market? These maybe the immediate questions popping up in your head. Am I right? 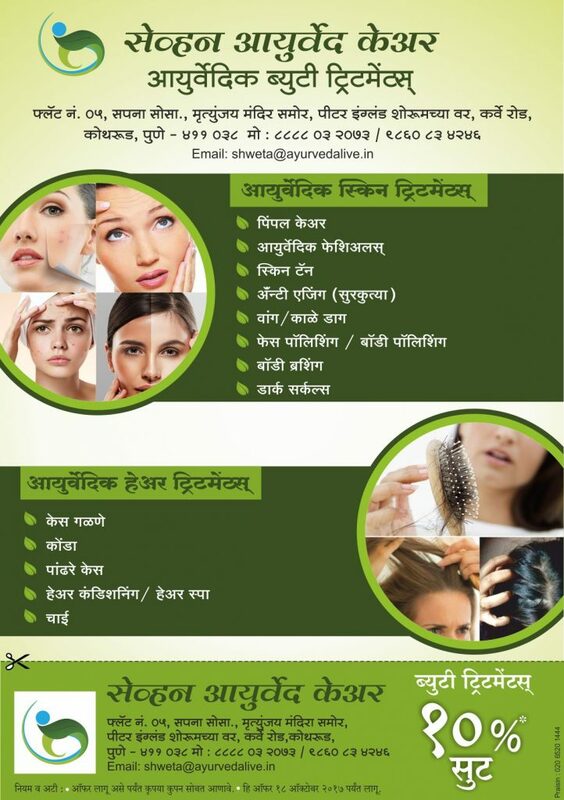 No worries, I’ll clear all your queries – With reference to an old blog written few months back, “रिअल हर्बल”(I’ll rewrite to post it in English as well, for all my wonderful readers), We are pleased and honoured to be true to our word, and offer you this range of real herbal cosmetic therapies. This is NO salon service, all the services are therapy and treatment based practices, based purely on Ayurvedic fundamentals and are already explained thousands of years ago in our Ayurvedic texts. When you step into Seven Ayurveda Care, You are firstly consulted by an Ayurvedic Physician (Absolutely FREE)** to find out the root cause for your Skin or Hair problem. You are then guided with your line of treatment,- which includes – The necessary Skin / Hair therapy and internal medicines (if really needed), diet, exercises, and any Panchakarma procedures (only if required) depending upon the conditions and any associated complaints – of course for the better results and long lasting effects. The oil, packs, scrubs, etc. are selected as per your skin type, prakriti, and complaints, all the ingredients used are exclusively natural, herbal and Ayurvedic, NO Chemicals or chemical based ‘so called herbal’ formulations are used. Lastly all these procedures are treatment based (Ayurveda) and not a mere salon or spa culture. 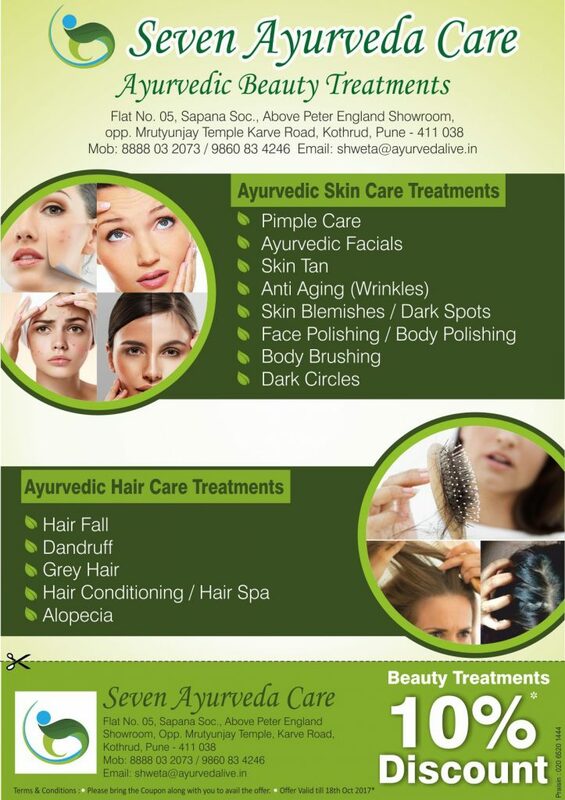 I take the pleasure to invite you all, to enjoy the Real Herbal skin and hair care at Seven Ayurveda Care, Pune. This entry was posted in Ayurveda, Beauty tips, Cosmetology and Ayurveda, Diet, Hair, Lifestyle, Panchakarma, Skin and tagged acne, ayurveda, ayurveda beauty treatments, ayurvedic facials, dandruff, detan, face polishi9ng, grey hair, hair care, hair conditioning, hairfall, health, hyperpigmentation, skin care, under eye dark circles. Bookmark the permalink.